When you think of whisky you think of old. Distilleries built in the late 19th Century, generations of families and plenty of master distillers. But not all names can be called old, take for example Tomintoul. 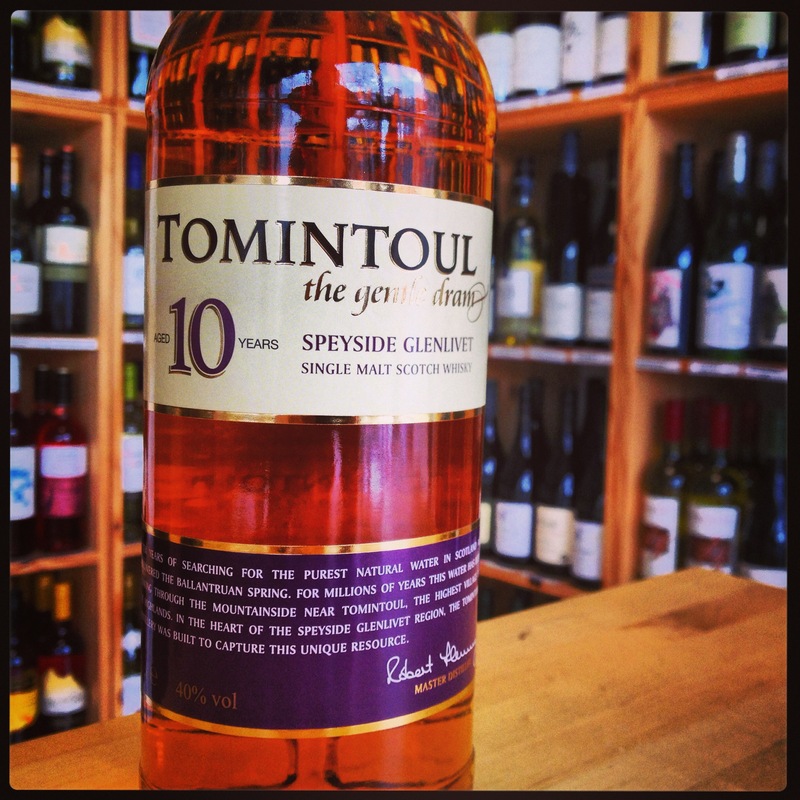 Tomintoul Distillery was built in 1964 under the ownership of Hay & Macleod and W & S Strong in the village of the same name, which itself is one of the highest villages in Scotland at an altitude of 345m. The distillery is located in the Glenlivet Estate at Ballantruan on the east side of the River Avon. Located here after a quest to find the purest of water sources for use in the malt whisky making process. The search located the Ballantruan Spring and Tomintoul Distillery was built close to it. A light nose of vanilla, oak and malt lingers onto the palate. A warm flavour of sugar, honey and toffee blend well on, with a touch of spice on the short finish. Aromas of light hazelnut on the nose with a whisp of dried grass. Incredibly smooth on the palate with a developing spice after a dose of light nut. Lingers into a warming finish. A 12, 14 and 21yr are also available, with some coming in smaller 35cl bottles, perfect for gifts or if you want to grab the full range quicker! If you treat yourself to a 16yr, you also treating yourself to an award-winning dram – Gold Medal, International Wine & Spirit Competition London – 2010, Gold Medal, International Spirit Challenge London – 2010, Gold Medal – San Francisco World Spirit Competition, USA – 2003, “Exceptional” – USA Beverage Tasting Institute – 2004, Silver Medal – International Wines & Spirits Competition, London – 2005, Distinction Award – Scottish Field Whisky Merchants-2006, Gold Medal – China International Wine & Spirits Challenge – 2006, Silver Medal- The International Wine & Spirit Competition, London – 2006, Gold Medal – Prodexpo Competition, Russia – 2007, Silver Medal – Internationaler Spirituosen Wettbewerb, Neustadt, Germany – 2007 and Bronze Medal – The International Wine & Spirit Competition, London – 2007. Quite an impressive feat for a whisky that’s say not as well-known as others in the Highland range. long time to find it in google. I found it on 15 spot, you should focus on quality backlinks building, it will help you to rank to google top 10. I see a lot of interesting posts on your blog.